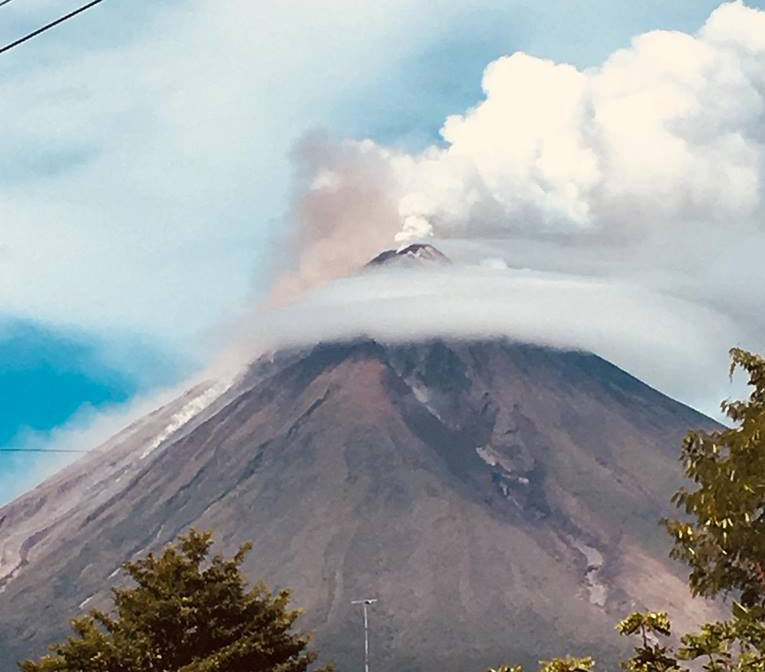 LEGAZPI CITY (Jan 25) – The subterranean rumblings already felt every now and then with intensity and produced some terrestrial commotions over Mayon Volcano which caught the attention of the people and began to be fearful and worried. This resulted to the rise of the number of evacuees fleeing the Mayon Volcano eruption to 19,407 families or 74,224 individuals after the Provincial Disaster Risk Reduction and Management Council (PDRRMC) extended the danger zone 8-kilometers and 9-kilometers buffer zone. In its 8:00AM Bulletin Thursday, Philippine Institute of Volcanology and Seismology (PHIVOLCS) recorded six (6) episodes of intense but sporadic lava fountaining from the summit crater lasting nine (9) minutes to fifty-eight (58) minutes. The lava fountains reached 400 meters to 500 meters high and generated ash plumes that reached 3 kilometers to 5 kilometers above the crater, between 06:02 AM yesterday to 03:00 AM this morning. The events fed lava flows on the Mi-isi and Bonga Gullies, sprayed near-vent lava spatter, and fed incandescent rockfall on the summit area. Pyroclastic density currents or PDCs on gullies heading the Mi-isi, Lidong/Basud, and Buyuan Channels were also observed. The runout of PDCs on the Buyuan Channel is now exceeding 5 kilometers from the summit crater. Alert Level 4 remains in effect over Mayon Volcano. The public is strongly advised to be vigilant and desist from entering the eight (8) kilometer-radius danger zone, and to be additionally vigilant against pyroclastic density currents, lahars and sediment-laden streamflows along channels draining the edifice.